Gumpaste is an edible, pliable dough that dries hard. It can be used to make molded figures that will hold fine detail, or it can be rolled out to make fine flower petals and leaves. Conventional gumpaste is made with egg whites or gelatin, gum powder, and sugar, making these edible works of art unavailable to those who can’t or don’t eat eggs and gelatin. Thanks to the wonderful folks at the Vegan Meringues – Hits and Misses Facebook group, we have learned that “aqua faba,” or the liquid drained from a can of beans, can be whipped into stiff peaks much like egg whites. It can act as an egg white substitute in many recipes, including gumpaste. For best results, use chickpeas or another mildly flavored bean, but they all work. Reserve 1 cup of the powdered sugar and set it aside. Add the chickpea liquid to the bowl of a stand mixer fitted with the paddle attachment. Beat on high speed briefly, until liquid becomes frothy. Turn the mixer to the lowest setting and slowly add the remaining powdered sugar, making a soft consistency royal icing. Turn up the speed to setting 3 or 4, until the mixture reaches the soft peak stage. It should be shiny, with peaks that fall over. If you intend to color the entire batch a single color, add gel or paste food coloring at this point. Aim for a shade darker than your intended final shade, because your creations will lighten as they dry. Turn the mixer to the lowest setting and sprinkle the gum powder into the mixture slowly. After the gum has been added, briefly turn up the speed to high in order to thicken the mixture. Sprinkle some of the reserved powdered sugar onto a flat work surface, and scrape the gumpaste onto it. Rub the shortening onto the palms of your hands and knead the paste, adding the reserved powdered sugar as needed, until the dough is soft, but not sticky. Note: You may not need all of the sugar! The dough will be at the right consistency if you can pinch it, and your fingers come away clean. Wrap the gumpaste well with plastic wrap, and place in a well-sealed zip-top bag, pressing out as much air as possible. Place in the refrigerator for 24 hours to allow the paste to mature. Allow the paste to come to room temperature before use (you can speed this along by kneading a small amount in your hand). Before use, place a small amount of shortening in the palm of your hand and knead this into the paste. Gel or paste food colorings can be kneaded in at this stage. Gum paste dries out very quickly. Work with only a small amount of the paste at a time, keep all unused portions well-covered at all times. Always wrap the paste well and return it to the refrigerator after use. Store gumpaste in the refrigerator, or in the freezer (well-wrapped!) for longer storage. If you intend to freeze your gumpaste, allow it to mature for 24 hours in the refrigerator before freezing. This entry was posted in Frostings and tagged aqua faba, egg-free, recipe, vegan. Bookmark the permalink. What is the function of Gum Tragacanth? and is there a substitute? You need to add some sort of gum in order for it to be “gumpaste”! Gum powder makes your dough pliable and able to hold the fine details, and it also helps your creations to dry out fast and completely. Gum Tragacanth is a natural product made from dried and powdered sap, and Tylose powder (a brand name of CMC, or Carboxymethyl cellulose) is a man-made one, but they fulfill the same purpose. “Gum Trag,” as it is called, will impart a slight yellow or tan color to your gumpaste (this won’t really matter if you intend to color it), but Tylose is closer to white. These might sound like obscure ingredients that you’ll never find anywhere, but you should be able to find either or both at any cake decorating supply store, or for ordering online. Even easier, if you’re in the US, you can usually find Tylose powder under the name of Gum-Tex in craft stores that carry Wilton products, such as A.C. Moore or Michael’s. I’ve had horrible luck calling the big box stores to see if they carry it, though, because the clerks are often unfamiliar with it — if you want to save yourself shipping costs or shipping times, it’s really better to just go in and scour the shelves yourself. You may have luck with other sorts of gums (like guar gum or gum arabic), but I haven’t tried them, and Gum Traganth and Tylose are the ones that are commonly used for this purpose. Your items are truly amazing, and I can’t wait to see what you do next! Hello, thanks for the share. Can I use butter in place of shortening? No, you really shouldn’t use butter. Even conventional, non-vegan gumpaste uses shortening. Shortening will look better, hold up better, and keep better. I am soooo curious as to why you decided to use liquid from canned beans? 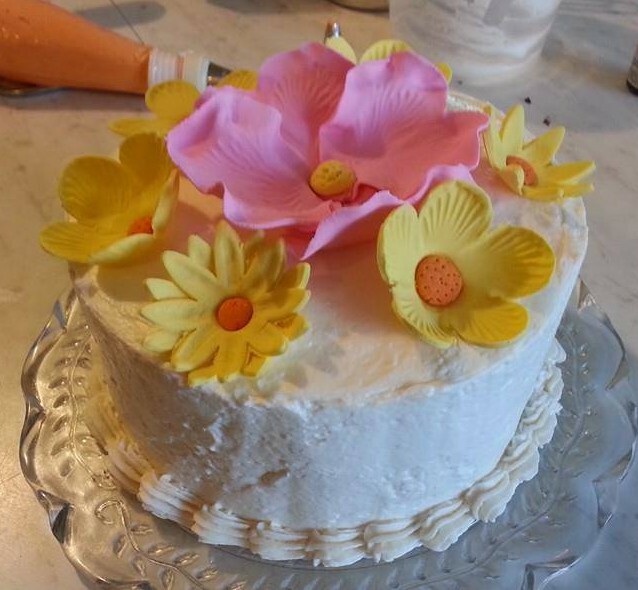 Is there a principle behind it or a certain ingredient/component in it that makes it good for gumpaste? Thank you!! As I mention above, the cooking water from beans (including what you find in a can) can be used in much the same way as egg whites for many recipes, including gumpaste. Also, can I add agar or gelatin to this? I am not vegan but am wary of raw egg products. This recipe doesn’t require agar or gelatin. There are many fine gelatin-based gumpaste recipes, so I would suggest you use one of those if that’s what you’re looking for. There is no raw egg in this recipe, Austin – that’s what makes it so great! Can I use vegan margarine, like earth balance instead of shortening? I wouldn’t, assuming you can get shortening at all where you live. Shortening is what is used in conventional gumpaste recipes. It’s not the goal in this case to mimic butter. Can we make figurines with this.is it that flexible enough?thx fr info. It will be flexible until it dries, and then it will be rock hard. Hi can you make a video of this recipe, I am struggling to understand what shud be the consistency when its ready to be put in refrigerator for maturing . I used exactly half the quantities and my gumpaste turned out to be very sticky . Even sprinkling corn flour on the working surface is of no use .What shud I do ? plz help !! Sometimes you need to add more powdered sugar. Good luck!